This problem arrives due to wrong version of DLL you have an one of the application is looking for another version of DLL. 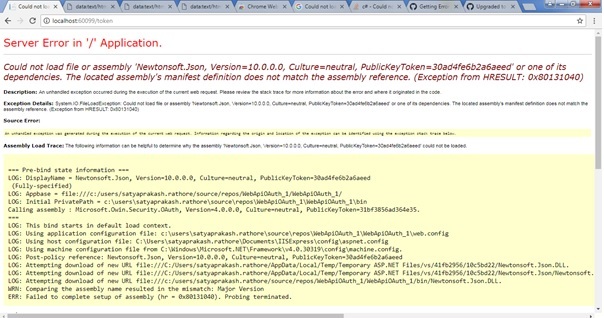 On Above problem it happens with Newtonsoft.JSON. That can be happens with any of the dll. So, Microsoft has given a beautiful solution for it, you can install the latest version of DLL from Nuget Manager. 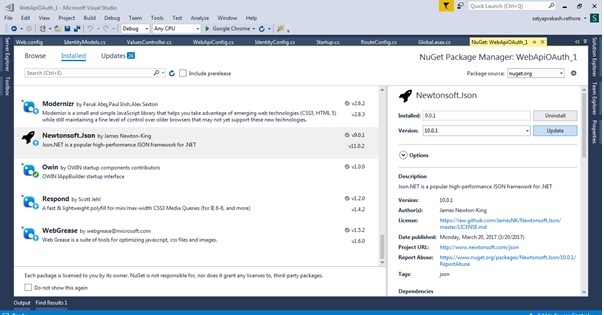 Open the nuget manager and search for Newtonsoft.JSON, like below.